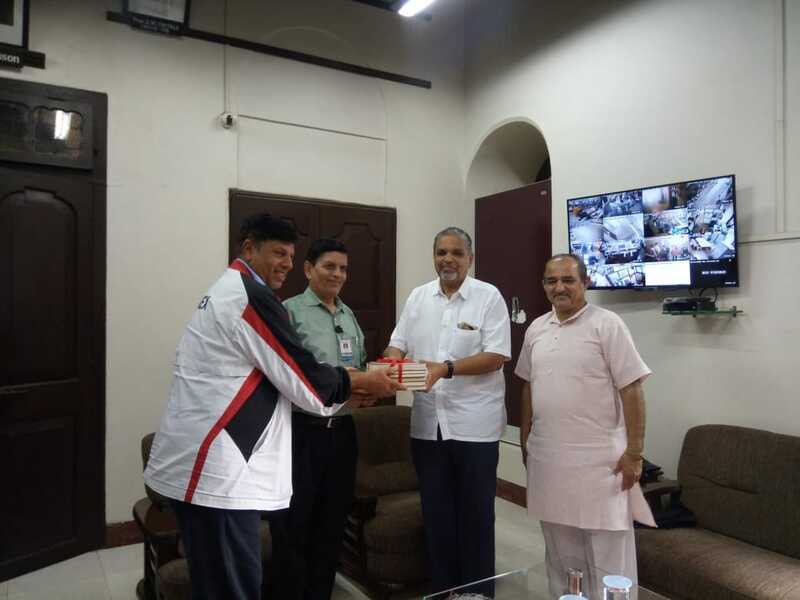 Mr. Nandan Bal gifting a set of Sri M's books to Mr. Vikas Kakatkar, Vice Chairman, Deccan Education Society for the Fergusson College library. 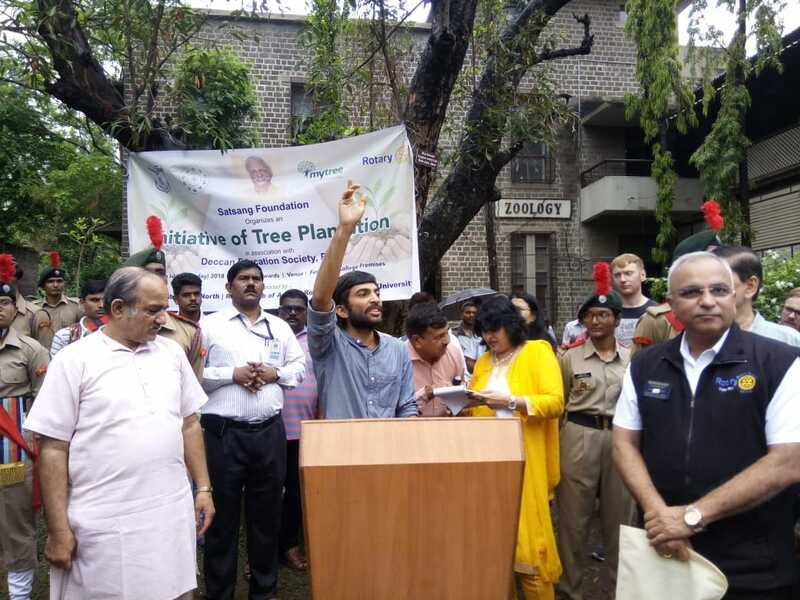 Akshay Onkar, Researcher on endangered species of trees in Maharashtra addressing the gathering. Mr. Kunte, Chairman DES and Mr. Bhagwat and President Rotary Pune . 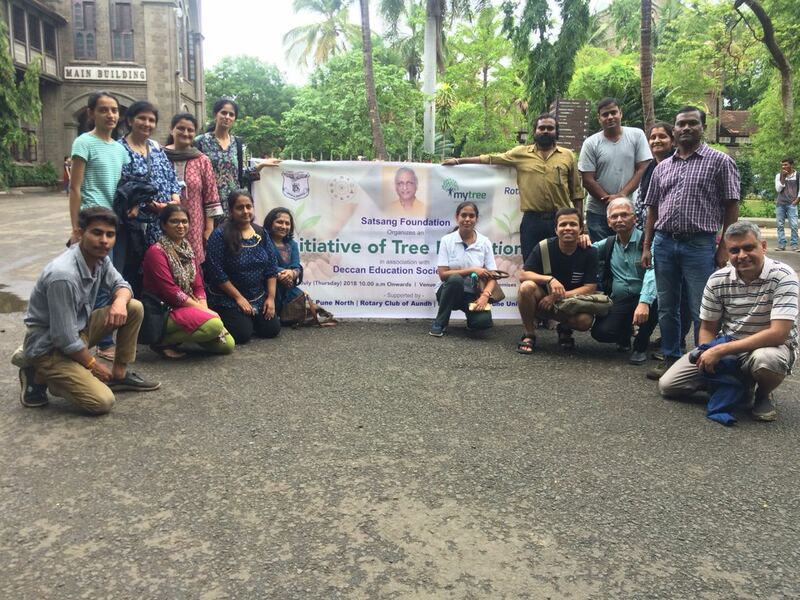 The Pune volunteers of The Satsang Foundation joined hands with Deccan Education Society and Rotary Clubs (Pune North, Aundh and Pune University) for a tree planting initiative under the MyTree Project. With the monsoon’s advent, the weather conditions were perfect and nurturing enough for such an initiative. 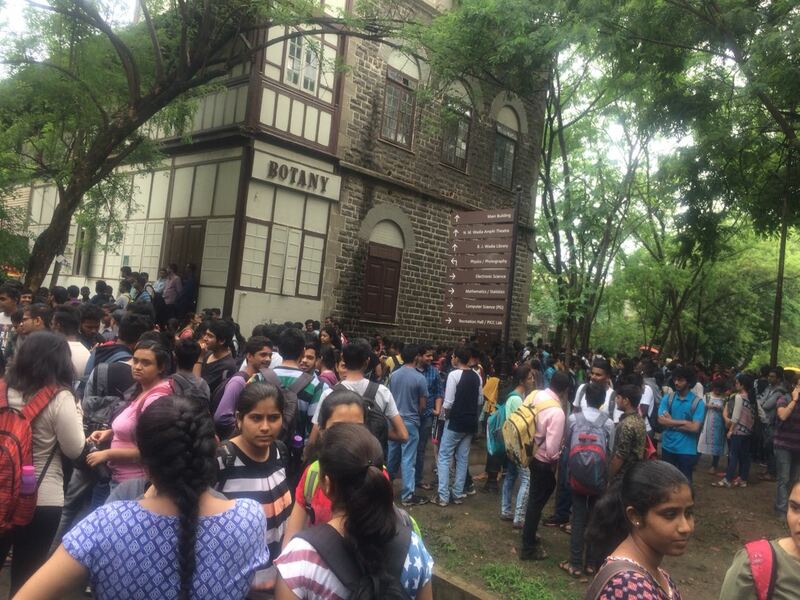 The day saw 200 tree saplings – all of Indian origin – being planted at Fergusson College premises. 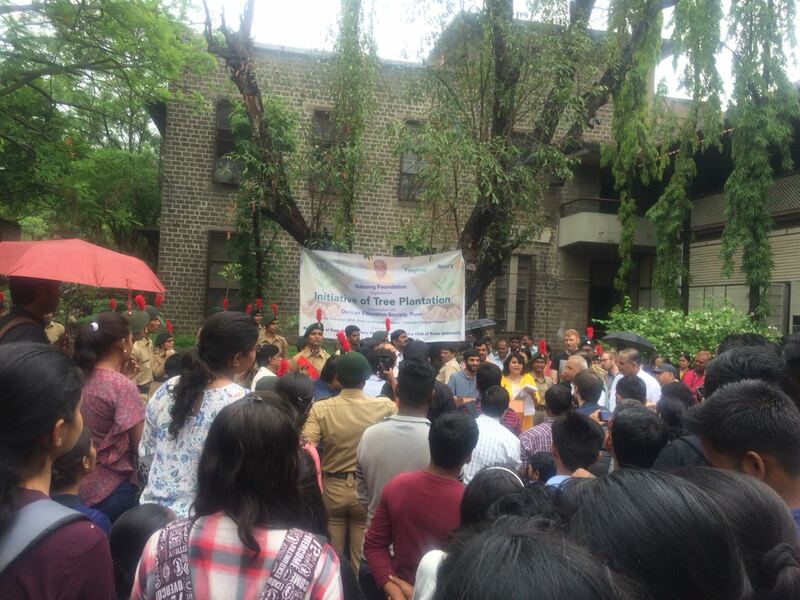 Along with the volunteers, around 400 students including NCC (National Cadet Corps), NSS (National Service Scheme ) cadets, and 40 staff members along with the Chairman and Vice Chairman of Fergusson college participated enthusiastically. 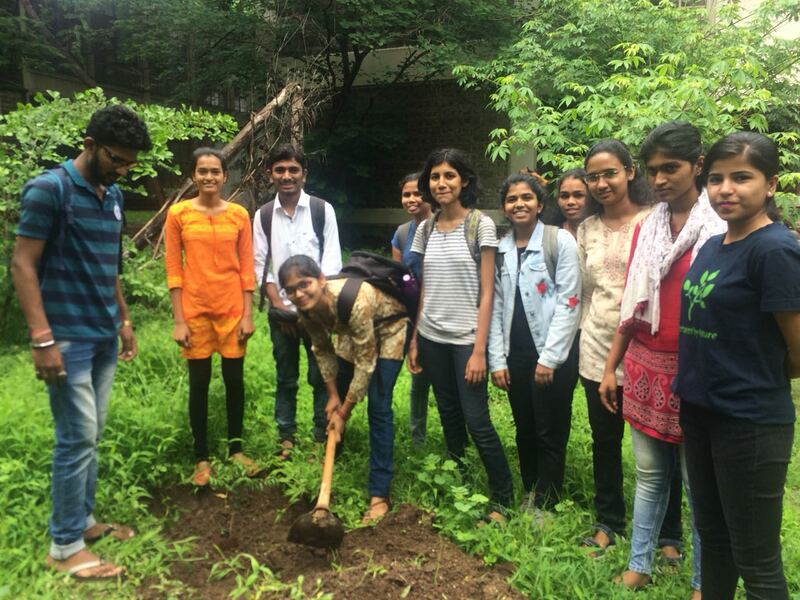 The Botany Department of the Fergusson College chose the saplings with much diligence to ensure the local flora and fauna and, also some of the endangered species were protected.As a goodwill gesture, books by Sri M were gifted to the Fergusson College library.It was heartening to see the Fergusson College students proactively interacting with the volunteers to enquire about the activities of The Satsang Foundation. 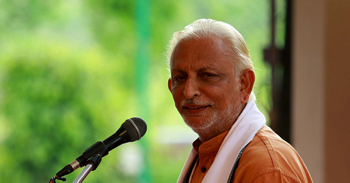 In future, the Pune volunteers of The Satsang Foundation will work in tandem with partnering organizations and the student community to ensure the plants will be nurtured and cared for till they grow strong and independent. Manav Ekta Mission’s MyTree initiative seeks to fulfill its objective of promoting sustainable living by encouraging the planting of trees. 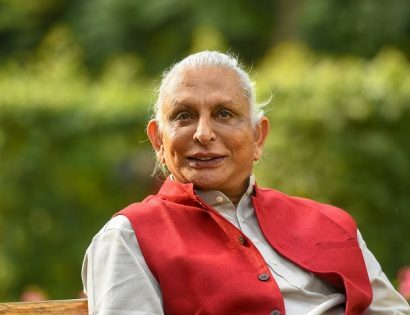 Sri M initiated this project during Walk of Hope 2015-16 and this has inspired a number of succesful projects across the country.